The course provides preparation for admission to graduate schools after one year of study from April. The course is from Monday to Thursday. On Friday students choose elective subjects according to their needs. ① Students who have finished studying more than 16 years in their countries or the equivalent to it. 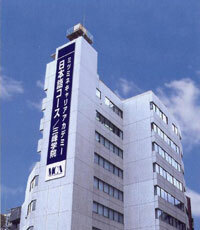 ② Students who wish to enter a master’s program of graduate school in Japan from April next year. ③Students whose Japanese language level is higher than Advanced-Intermediate by MCA standards. Those who have passed JLPT N2 or equivalent to it. ① The course aims not only to learn how to write a research plan but to enhance Japanese language proficiency. ② MCA guides each student to a graduate school to his/her wishes appropriately. ④ MCA graduates who are currently studying at the graduate school give useful information properly. ⑤ Tuition of the course costs no additional charge. To learn writing style proper to the research plan. To select appropriate graduate school based upon data. ①To practice presentations using Power Point and others. ②To take final measures for the examination. ③To understand things Japanese through various up-to-date materials such as TV news, newspapers, magazines.